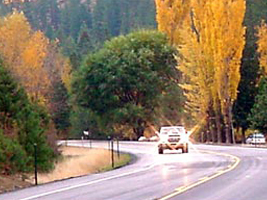 District 2 covers just over 13,000 square miles of north-central Idaho and maintains 1,500 lane miles (lanes of road, on- and off-ramps, etc.) and 180 bridges.District 2 encompasses five counties, with diverse geology highlighted by the pristine Clearwater River, one of the most scenic rivers in the United States. It has robust populations of fish and wildlife, and is rich in history. The Middle Fork of the Clearwater River was one of the first rivers designated under the U.S. Wild and Scenic Rivers Act. District headquarters is in Lewiston located in Nez Perce County, where Dave Kuisti is district (head) engineer. Jan Vassar, of Lewiston, has represented District 2 on the Idaho Transportation Board since January 2010. Barring any more slides, US-12 between Greer and Kamiah could reopen tomorrow with some restrictions. Rock removal will require periodic closures of US-95 for the season. The website offers the opportunity to sign up for regular updates on design progress and other safety efforts. Attend the meeting or visit the project website to get all the details for this season's work. The Nez Perce Tribe will pursue options presented with ITD. 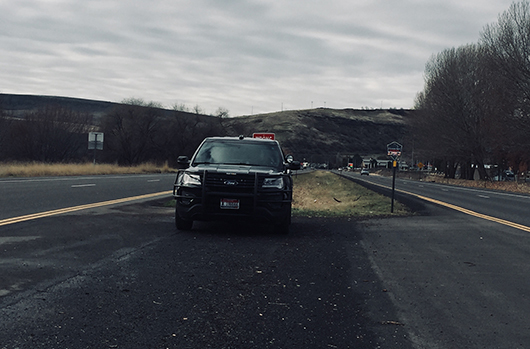 Multiple agencies participated in the patrol to raise drivers' awareness at the entrances to the casino. 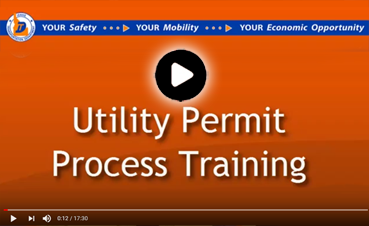 Learn more about why some actions have or have not been taken. The ruling will allow ITD to proceed with construction as early as late summer 2019. 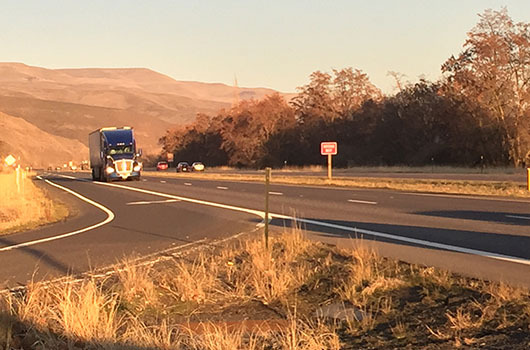 This project will realign a section of US-95 to improve safety. 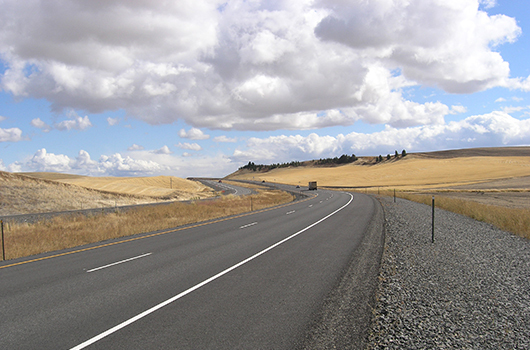 With help from the Federal Highway Administration (FHWA), the department evaluated many alternatives for the new highway alignment, including western, central and eastern routes. The final eastern route (E2) was chosen after a multi-year environmental review process. ITD received a Record of Decision (ROD) from FHWA in March of 2016 that gave ITD the authority to begin final design and to purchase land. A legal motion was brought against FHWA and ITD regarding the Environmental Impact Statement and Record of Decision for this project. 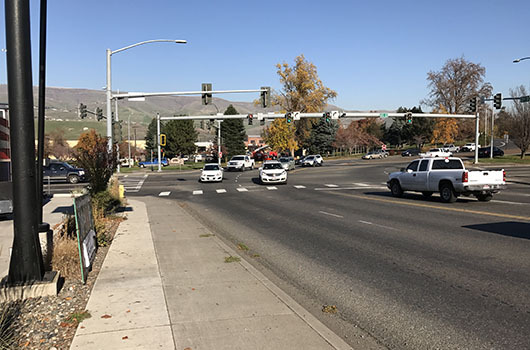 In August 2017, the U.S. District Court for Idaho ruled against the motion in favor of FHWA and ITD. In January 2018, an appeal to the ruling was filed in the U.S. Court of Appeals for the Ninth Circuit. On December 7, 2018, the appellate court upheld the lower court’s decision. ITD will continue right-of-way acquisition and submit a 404 permit application with the U.S. Army Corps of Engineers. After those two steps are completed, the project can be put out for construction bids. Work could begin as early as late summer 2019. Knife River resurfaced 26 miles of the highway for $5.6 million. To learn more, visit the US-12 project website. Knife River resurfaced 23 miles of the highway for $7.3 million. Braun-Jensen Inc. replaced the bridge for $1.5 million. Concrete Placing Company replaced the bridge for $2.1 million. Crews constructed opposing left-turn lanes at Valley Drive just east of Kamiah for both eastbound and westbound motorists. A right-turn lane was constructed at Valley Drive for eastbound motorists. The existing gravel approach onto Front Street just south of Valley Drive was eliminated. Acme Concrete Paving Inc. repaired broken concrete slabs and resealed the joints on the concrete section of the highway in Lewiston. The highway work was between the Clearwater Memorial Bridge and the Rose Garden. Work, along with a similar project on US-95 in Moscow, was completed for $1.2 million. Acme Concrete Paving Inc. repaired broken concrete slabs and resealed the joints on two concrete sections of the highway in Lewiston and Moscow. The highway work was between the Clearwater Memorial Bridge and the Rose Garden in Lewiston and on Jackson Street in Moscow. Work was completed for $1.2 million. N.A. Degerstrom Inc. replaced the Four Mile Creek Bridge near Viola for $1.4 million. The old bridge was built in 1949 and was structurally deficient. Acme Concrete Paving Inc. repaired broken concrete slabs and resealed the joints on the concrete section of the highway, also known as Jackson Street, in Moscow. Work, along with a similar project in Lewiston, completed for $1.2 million. 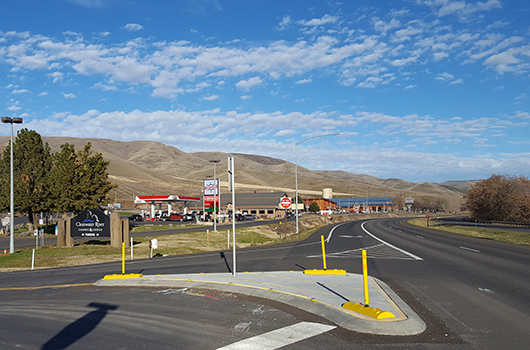 Morgan Industries constructed a concrete island to improve safety at the west exit of the casino by preventing drivers from making left turns onto the highway. Knife River repaired and resurfaced the roadway for $3.3 million. 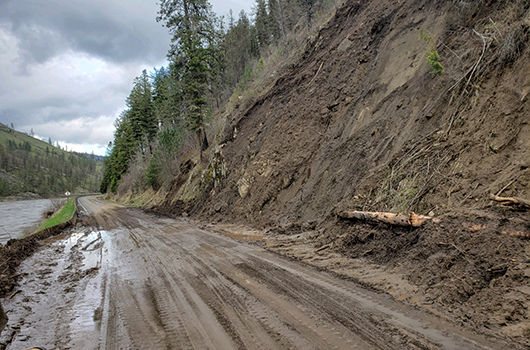 A landslide caused damage in the spring of 2017 and was repaired in January 2018. To learn more about the project, read this news story about ID-3 repairs. T. LaRiviere Equipment and Excavation replaced the culvert over an unnamed creek on ID-6 about 10 miles north of the Latah County / Benewah County line. Although the culvert is in District 1, District 2 reviewed construction of this $900,000 project. ITD contractors replaced the box culvert over Texas Creek near Weippe. Contractors replaced a pipe on Moose Creek near Elk City with a bottomless arch pipe to improve fish passage. Work was completed for $500,000 with funding from the Nez Perce Tribe and the U.S. Forest Service. 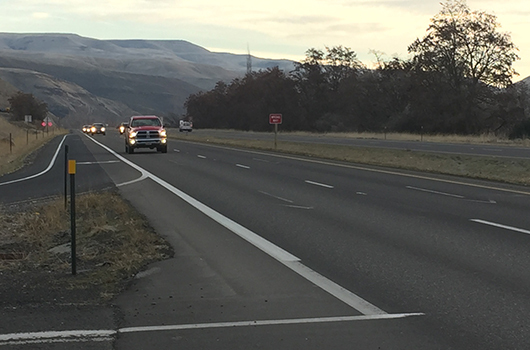 Knife River resurfaced the highway between Craigmont and Nez Perce for $1.7 million. Fourteen bridges were repaired by Braun-Jensen Inc. for $2.2 million throughout the district. To preserve pavement, ITD contractors applied sealcoats to several routes.